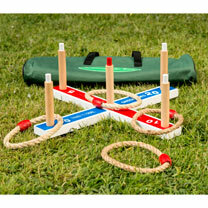 This family game is great for parties or social gatherings, simply throw the rope rings at the scoring pegs - the highest score wins. 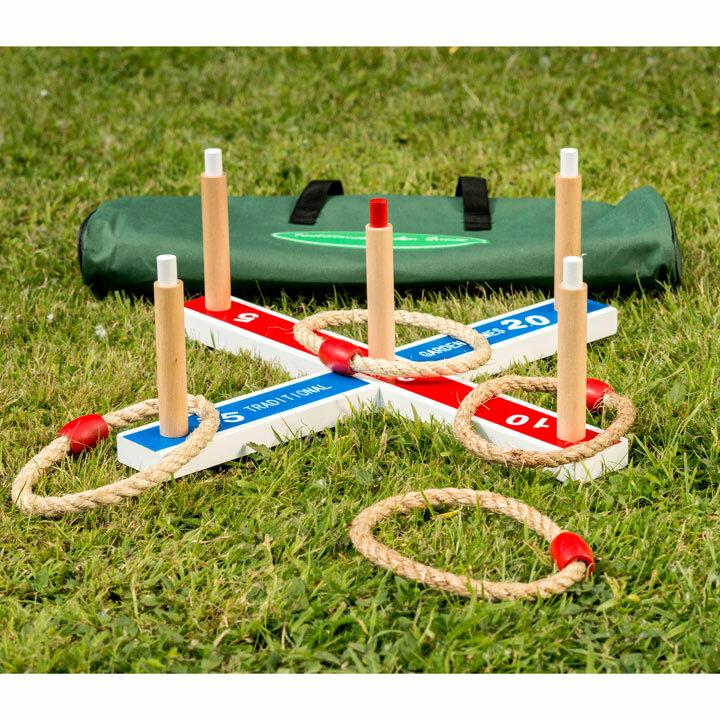 Supplied in a quality canvas storage bag containing four rope rings, a traditional quoit base (42cm x 42cm) and removable screw-in scoring stakes. Ages 14+.